JMR would like to give a warm welcome to the newest addition to our staff, T.R.U.E. Confessions! When I was just a boy, I enjoyed listening to choirs, such as Miami Boys and Tzlil V’Zemer. 20 years and several choirs later, my interest in choirs has dwindled but I listen to them with an open mind. Yet, it takes a few listens for me to make a decision as to whether an album is worth the listen. 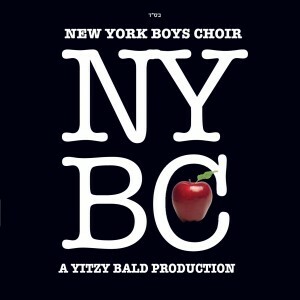 However, there was something about the New York Boys Choir (NYBC) album that caught my attention almost immediately. The album, produced by Yitzy Bald, an incredible talent himself, had what I will call an “old school” feel. I thought I was listening to a classic Tzlil V’Zemer album. The album, dedicated in memory of Yitzy’s father, is pure with songs that make an immediate impact on the neshama. As Yitzy quotes Chazal and says, “Let the pure ones come and talk about purity”. The boys did a terrific job and the heart with which they sang these songs, was evident in the recording. Libi (Track 2). This song is based on a Tisha B’Av Kinnah. The chorus speaks of the longing that Libi, “my heart”, longs for the Bais HaMikdash. During the repetition of the words Libi I recommend that one closes his/her eyes, and imagine the Bais Hamikdash. In my opinion, the power of this song will become very clear. Now we just need an A cappella version so we can take it in during the 3 weeks! Al HaSulam (Track 5). Whoa-oh Whao-oh! I found this to be a great choice of words for the upbeat style with which it was created. Yitzy bases this song on a quote by the Piaseczna Rebbe (Rav Kalonymus Kalman Shapira, Hy”d). There is an entire story about how this song was created, and I refer you to the CD booklet to learn more. This is a fun song which the kids caught onto very quickly. Specifically, my 3yr old loves to join the chorus of Whoa-oh Whao-oh; and he loves to climb ladders :) ! V’Ahavta (Track 6). After coming down the ladder from the track that precedes this one, the listener is greeted by what my 3yr old likes to call “heavy guitar”. This song has a rock feel and is also very easy to learn. Furthermore, my children found this song easy to learn and they sing it at the top of their lungs. Therefore, if you want your kids to make some noise, play this track! Yehudi (Track 12). When listening to this track, I think of a group of boys coming toward me in sunglasses. This song has a “cool guy” feel, lots of energy and the music is a bit different than the norm. The boys put on their best Israeli accents and the enjoyment of singing this one is clear to the listener. While listening to this song, you will find yourself bopping to the rhythm! I have to admit, though I do find this album intriguing, my favorite part lies within the written text. I do not know if it has been done before, but within the booklet, each song is laid out exactly as the words are sung. If a word is repeated several times (i.e. Libi, Libi, Libi) each word is spelled out. Additionally, when the choir pronounces an “oy” sound, the sound, which is not a word, is also spelled out in the booklet. In summary, this album will go down as a solid classic choir with great material and a great producer to back them up. Buy it, listen, read, and enjoy!